The alignment is also different from what the city has planned so far. Current plans for the downtown relief line envision it running between Pape and Osgoode stations. 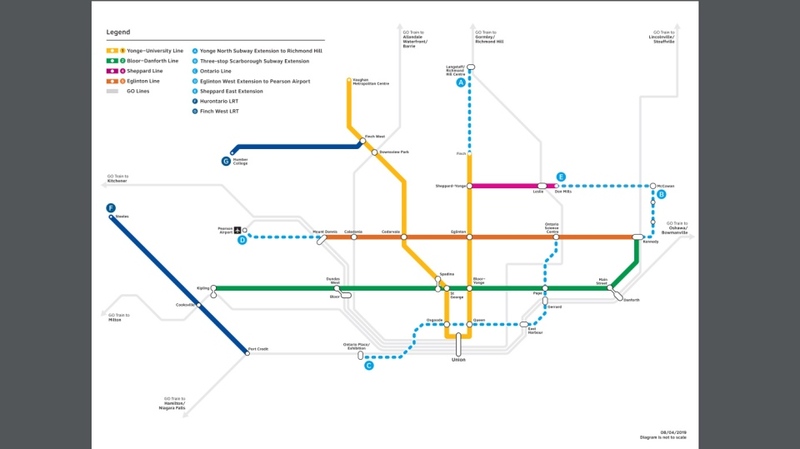 According to the province, the Ontario Line would connect Ontario Place downtown with the Ontario Science Centre near Don Mills Road and Eglinton Avenue, also connecting at East Harbour GO, Pape, Queen and Osgoode stations. According to background documents, provincial officials believe for several reasons that they are better positioned to deliver major transit infrastructure projects than the city is. 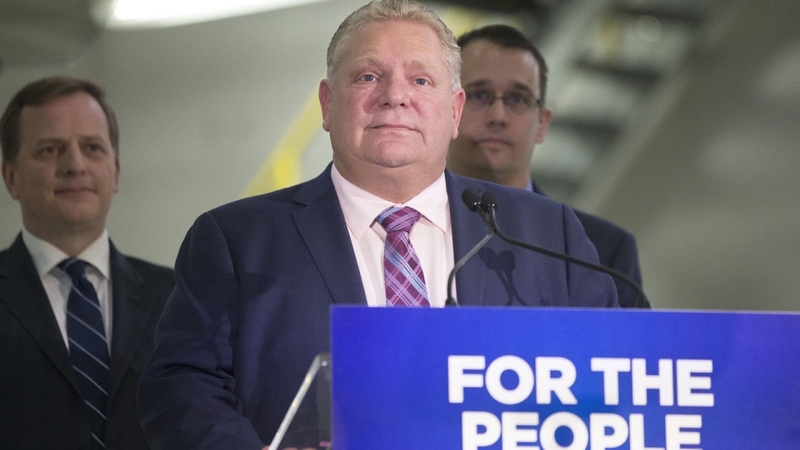 Responding to the provincial transit proposals at a separate news conference Wednesday, Mayor John Tory said he is “cautiously optimistic” about Ford’s proposals, but said that there are still many questions that need to be answered. Tory added that having the city and the province on the same page about which transit projects top the list of priorities satisfies a requirement for receiving the federal funding. Tory said that the initial assessment of the plans by city staff indicates that the province can build on preciously completed design work in order to move forward with the projects. “Our staff has advised me on a preliminary basis that a good deal of that work will be useful,” Tory said. While some critics have said they’d like to see Tory push back against provincial encroachments on the city’s transit system, Tory said that his job is to make sure that transit in the city is built without delay and said the province has so far committed to working with the city in a collaborative fashion. Tory said he is supportive of getting transit projects built in a different way as long as there are no significant delays associated with the delivery of the projects. “Walking away absolutely ensures that nothing gets built for a very long time,” he said. He added that in assessing the provincial proposals in greater detail, staff will focus in particular on the technologies being proposed and on whether the changes will delay any of the major projects. While he stressed that collaboration with other levels of government is the way forward, Tory said that the city must be kept in the loop and said the city still has “pages of questions” when it comes to the details. “The people of Toronto must be consulted and remain involved – that remains my position,” Tory said.